A bank of mode keys provides you with one-touch access to the mode you need. Net present value method, internal rate of return method, payback period method, etc. 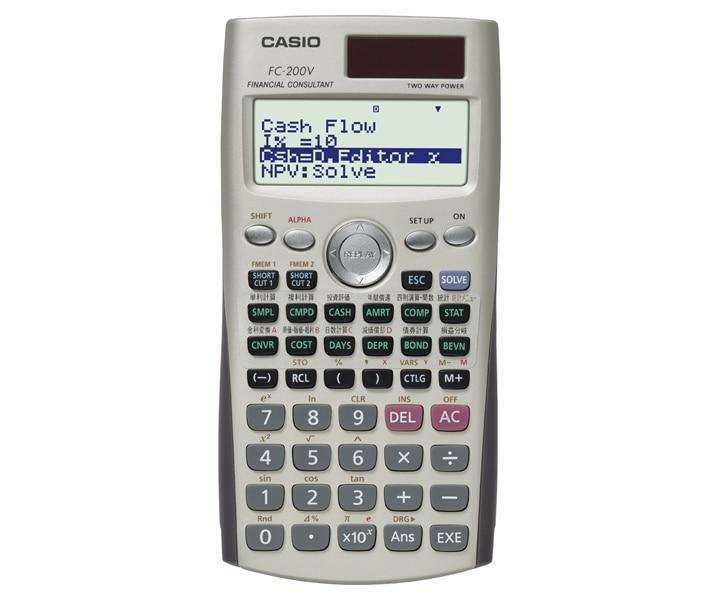 Virtually the same functions as a standard calculator. Statistical calculations using input sample data. Six modes for calculation of break-even point, etc. A full-dot 4-line display provides easier scrolling between parameters and simplifies input, confirmation, and editing. -The result appears immediately after you press the SOLVE key. -Once you use a parameter value or setting in a calculation, you can assign it to a shortcut key for instant recall whenever you need it. This feature is great for repeat calculations.